West Ham- what would I do without you? Have a lot less stress for a start! Be prepared people for a very brutally honest article- I take no prisoners and don’t apologise for it. This club is heavily divided. More so than at just about any point in its history I believe. The board are largely disliked I would say, for many reasons. I believe this to be justified fully, for a number of reasons I will explain later. But my end point is this- without the fans, the club is nothing. It’s the sum total of zilch. Without the fans, the club is finished. Is the club losing fans currently? No. Are the board and their antics forcing people to stay away? Absolutely. No question. This is where the divide starts to show heavily, between the two camps of fans that are most vocal- the “board lovers” and “board haters”. I am very firmly in the “board hater” group. The lies over transfers and debt. The huge levels of unprofessionalism. The sheer incompetence on so many levels. I can’t explain enough why the current owners along with Brady are just far too incompetent to run this great, beautiful and wonderful club. My biggest bug bear at the moment- David Sullivan’s kids. Dave Jnr especially, as Jack seems to have calmed his club based tweeting down. He isn’t employed at the club in any capacity I am aware of. His twitter bio says his views aren’t those of WHU. Yet today he decided it would be totally appropriate to tweet about a claimed “new project” at the club. I don’t believe there is any such thing (just the club trying to win a few days of good publicity I think), but if there is then it should be the club tweeting about it- not the owners eldest child who has no role at the club. How to irritate the fan base 101 here, and the board damn well know it. Let’s also not forget that this is the same Dave Sullivan Jnr that believed it to be completely appropriate to announce on his personal twitter account that the club were taking legal action against Sporting! An incident the club should apologise for. That sort of stuff should either stay on the official club website or preferably in private completely. David Sullivan Snr should also take responsibility here, and apologise on behalf of his eldest child for posting such inflammatory information on a personal social media account. Yet the club haven’t even mentioned it- utterly disgraceful. Secondly- the constant lies about “next level” this and that. We can all see that David Sullivan Snr is far more interested in his ego than the club. This has always been the case and always will be in my view. I think the way he acts at the club proves it beyond doubt. Who remembers the £40mil plus we were going to spend on a striker alone? What about the Vardy bid Sullivan openly discussed? Or Ibrahimovic? I believe the Ibrahimovic one was something his kids may have talked about as well. Don’t even get me started on Carvalho for crying out loud. Where is all this money he magically claims the club had for these transfers? We certainly didn’t spend it. Like the millions in interest they have sucked out of the club, has it gone to their bank balance? Either they pocketed the money somewhere, or the club never had it in the first place. The first one I could actually accept if at the very least they were honest about it (after all, we live in a capitalist world), but the second would be totally unacceptable in all circumstances. More TV money. More ticket money. More money from merchandise. Yet we try and look around for free loans, free transfers and then cheap deals before actually going for the quality they have long promised us just before season ticket renewal time. Yes they have gone for Arnautovic and Ayew, but I think they were neither as expensive as they claimed and were funded significantly by outgoings. Interestingly on the issue of spending, it is rumoured Moyes is on no more than £10k a week. That shows why they went for him over all others- because he is CHEAP. He’s failed at his last three clubs, so god only knows what else they saw in him. Next- stadium. It’s been a disaster on so many levels. Not that this is their fault, but it’s a PR disaster for the premier league and the country as a whole to have a stadium totally unfit for purpose as a football stadium. But for the club it’s been a disaster from the moment we started the move. Who remembers Mr Gold talking about how we wouldn’t move unless the seats were as close to the pitch as the church that was The Boleyn? Who remembers all the guff about it attracting the next level players (although that probably has more to do with the aforementioned finances). So many other issues with the stadium such as access, stewarding that it is too numerous to talk about. The club also has a serious PR issue, which is connected to the issues mentioned above. The club has absolutely no idea how to communicate with fans. I don’t mean the physical methods by which to communicate, I mean it more subtly than that. It doesn’t understand the fans. The board don’t realise that getting the Sullivan kids to tweet about club business when they have no business doing so, in a totally unprofessional manner will seriously irritate fans, despite the fans making very loud and very clear on a number of occasions to be unacceptable. The board don’t realise the constant lies and broken promises will make fans snap. They don’t realise the clubs own twitter account pumping out pre planned rubbish from players or videos of great goals in training after a 4-0 loss will irritate fans. The club, the management especially, have no common sense. These are the things that will destroy this club, and why it is clearer than ever that this board must sell up as quickly as possible and with as little fuss as possible. Saying that, I would prefer it if they didn’t sell to a fraudster like happened at Birmingham. Due diligence can’t be that difficult David Sullivan- not even you could muck it up twice in a row I imagine. Peace and love fellow hammers…or so you thought! I bet you hoped I had finished! Well, today (8th December) the Sullivan clan took themselves, and with them the club, to new lows. Most of you will have seen the rather, erm, interesting interview Sullivan Snr gave to the guardian. Because what more could a club so heavily split need than a chairman telling us that his kids slagged off Jose Fonte and Robert Snodgrass before we signed them? And begged him not to sign them? As far as I’m concerned, and I think the same goes for anyone with more than half a brain cell, his kids should have the grand total of nothing to do with who this club does or doesn’t sign. The fact he seems to take their opinions on board is bad enough, but for him to then disseminate this to the fan base shows the ever increasing level of sheer incompetence he brings to his director of football role. Robert Snodgrass certainly isn’t very impressed given his response on twitter- rightly so in my view. Then he started saying how his whole family gave him brief for not “getting rid” of Slaven Bilic in the summer. That’s what we need- the incompetent chairman saying now how his entire family were slagging who was at that point the current manager off- that will improve our image. We get onto DS Snr’s favourite subject next- transfers. More specifically, chucking previous managers and players under the bus over transfers. When we signed Joe Hart for example, Sullivan boasted on the official site about how he worked on it for so long. Now it’s turned out that Hart hasn’t been the immediate hit everyone expected, he is now a Bilic signing. Funny that, don’t you think? He’s also decided it’s a great idea to claim that Allardyce turned down Lukaku for £10mil. That is almost certainly complete nonsense- not even some handily leaked emails could dissuade me from believing that. When will Sullivan get this point into his skull- KEEP THESE THOUGHTS PRIVATE, EVEN IF THEY ARE TRUE? It is absolutely unprofessional and further tarnishes your families already ruined reputation amongst a substantial majority of West Ham fans. Next, Dave Sullivan Jnr- well, now it appears he works at the club. 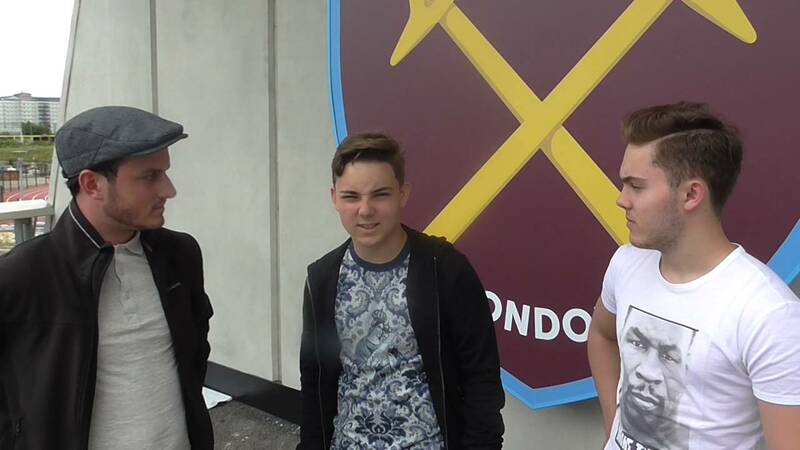 Who knew West Ham would turn into a cesspit of nepotism so soon? He has been all over Twitter this evening claiming he is working on some sort of project involving international fan clubs. At first he said international, but then he changes his mind and said it was all fan clubs. Which is it Dave? International or all? It’s a fairly big thing to get so badly wrong- yet you expect us to take you seriously? Jesus wept. Now I don’t believe for a second that this project is at all real- if anything it’s a smokescreen to try and distract fans for a few days or weeks. But if for a second I believe it all, why on earth isn’t the actual football club publicising it? Why is a child of the owner tweeting it from his personal account? Which rather ironically says his views aren’t those of WHU. This is extremely basic stuff that the club appears totally incapable of understanding- it’s either stupidity, sabotage or just sheer incompetence. It just gets worse with the Sullivan family- they neither care nor understand fans opinions about how they run the club. Jack seems to have calmed down somewhat, but to have his big brother take over the unprofessional tweeting duties seems a somewhat odd step. When will the Sullivan family realise that they are no longer welcome at this beautiful club? When will they realise that fans don’t believe any more of their lies? Or that fans aren’t fooled by the incompetent PR? Or that the fans hate the fact that the club seems to be a play thing for the children in the family? I want my beloved club run by professionals- not by his kids. The excuse for Jack is that he’s worked in every department for a week and he knows everyone (as if a week in every department is at all relevant). Wow- does that mean if I get a job as a cleaner at Chelsea, I can be Chief executive within a year if I do work experience in other departments? As far as I know, Dave Jnr has no experience in the football world whatsoever. And this “special project” shows exactly what his dad thinks of the club- a toy for his children. Enough is enough. Get out of my club now. These fans show a lot of love when we deem it right, but sweet Jesus, we will also let you know when we aren’t happy. Believe me, we aren’t! Jack Allum, you are way over the top with you’re comments. Totally agree.They are a cancer in this club.